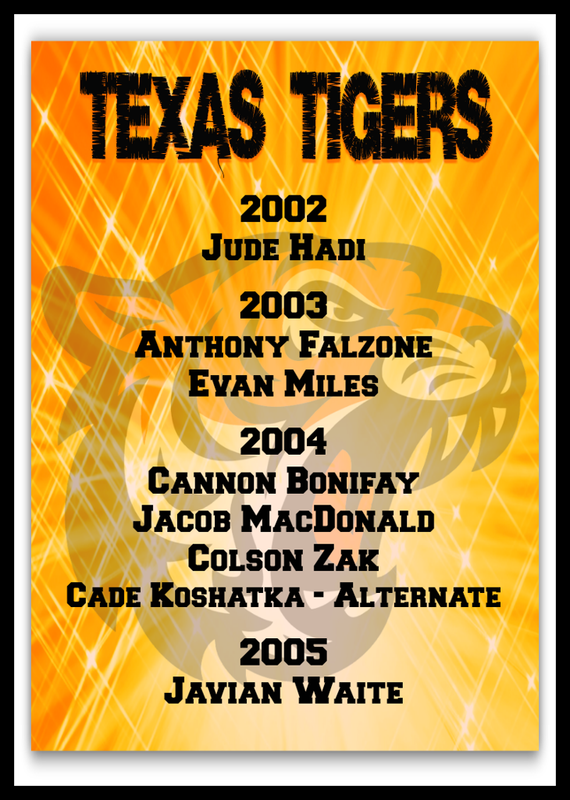 Texas Tigers Hockey is proud to be represented by the following players for being selected to attend the Rocky Mountain District Player Development Camp & Western Regional High-Performance Camp this year. 2002-2004 players will attend RMD Player Development Camp at StarCenter Valley Ranch during the weekend of May 10-12, 2019. 2005 players will attend Western Regional High-Performance Camp at Colorado College in Colorado Springs, CO from June 15-20, 2019.